Sheriff Matt Landry is on the trail of outlaw Frank Girard and ends up not only bringing in Girard, but a woman and two children who are survivors of an Indian raid on their wagon train. While Mrs. Kimber and the children stay with the Sheriff and his family, Frank Girard breaks out of jail, and Sheriff Landry finds out that Mrs. Kimber's husband is not dead, but has joined up with the Girard Gang. 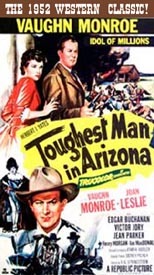 When Mr. Kimber kills Jim Hadlock in a cowardly act of greed, the Sheriff is torn between his feelings for Mary and his desire to take vigilante justice on Vern Kimber.